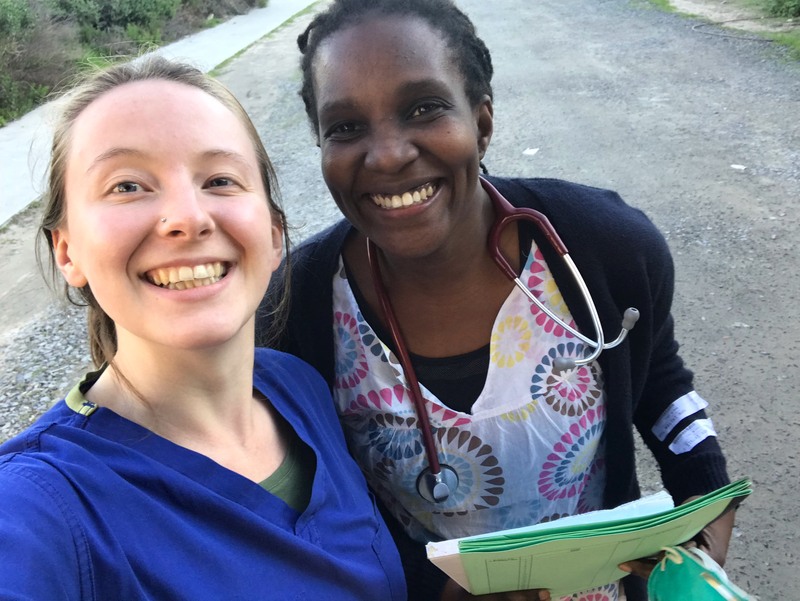 As a medical student undertaking a year-long placement in St Emlyn’s ED, I was kindly invited to write this post about my recent elective in Cape Town. I’m someone who’s a bit (very) keen on EM, so I’d read a lot about both the highs and lows commonly faced within the specialty, but this was the first time I was experiencing most of them. As a result, it’s taken me longer than I thought it would to write this post – there are endless things to reflect on, both internally and to friends, so I didn’t really have a clue which way I was going to go with it. In the end it’s turned out to be a mix of all things – lessons learnt, questions raised, and overall a bit of an appreciation post for everyone I was lucky enough to work with. Hopefully, this will also persuade other students to consider electives there! * PS: Clearly there are countless people more qualified to write about this than me – please check out all things by BadEM, and previous posts from Robert Lloyd and Chris Wearmouth reflecting different aspects of related to their time in the country. Let me tell you a little about life as a med student on elective in South Africa. It’s Saturday night in Cape Town, about a third of the way through one of seven consecutive fourteen-hour night shifts, and the ED is absolutely rammed. It’s winter, yet all windows are open for ventilation, and the room currently housing both majors and resus is full of patients shivering next to each other on the floor – elderly, extremely sick medical patients side by side with major traumas arriving seemingly every few minutes. Covering all areas of paediatric and adult ED are four fantastic doctors (three juniors, one registrar), a similar number of nurses, and then me. The team runs incredibly, and yet we’re in damage control country. 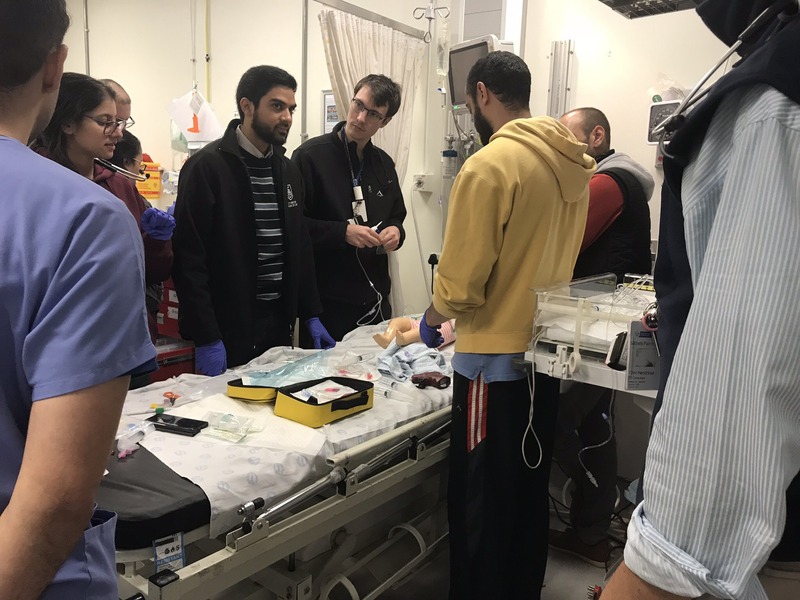 My mind is still stuck on a particularly difficult case from earlier in the shift – a child of gang members, brought in GCS 3 after having been beaten repeatedly over the head with bricks by an opposing group – when two resus cases are brought in almost simultaneously, bringing the department to a standstill. As I leave one bedside to retrieve equipment, a third man is dragged into the department by a friend and dropped literally at my feet. Multiple gunshot wounds litter his chest and abdomen. Great. I wonder why my medical school never gave me an OSCE on this. 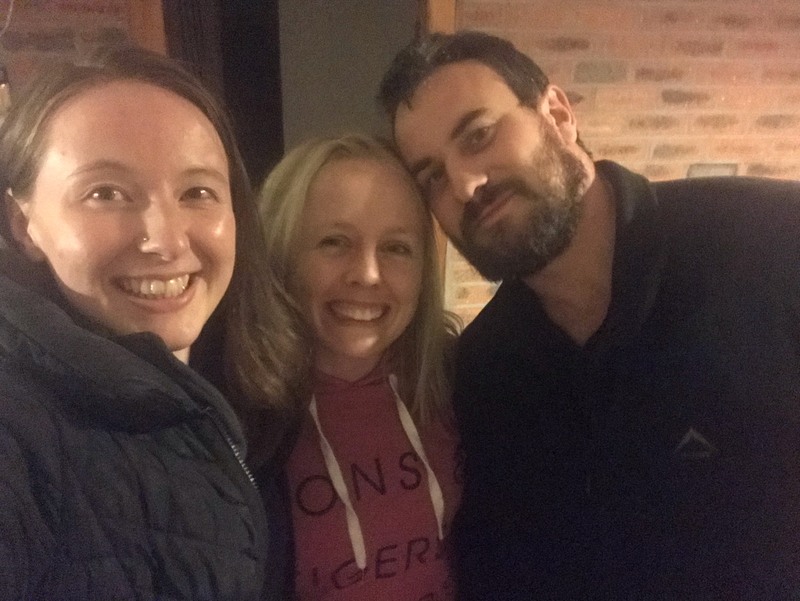 At the end of June 2017, I met Craig Wylie of BadEM (https://badem.co.za/) whilst volunteering at dasSMACC. As a result, one year later, I was incredibly lucky to fly out to Cape Town, where I spent nearly two months gaining experience in Emergency and Prehospital Medicine. 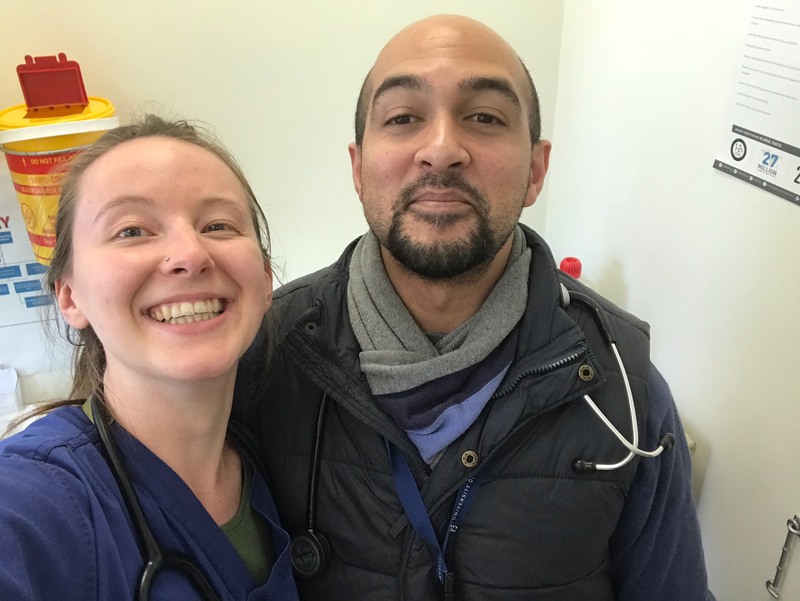 For the majority of the time, I was based with Kat Evans in the Emergency Department of Mitchells Plain Hospital, in one of South Africa’s largest townships, and also gained prehospital experience in the ambulances that serve the wider Cape Town area. My experience at Mitchells Plain was not dissimilar to Robert Lloyd’s at Khayelitsha, only 15 minutes away (http://www.stemlynsblog.org/englishman-south-africa-robert-lloyd-st-emlyns/). There were multiple gunshot and stab wound victims every day and night, with up to 20-30 in one weekend night shift, and countless patients with traumatic injuries from motor vehicle accidents. Prehospitally, the picture was similar. Again, an understanding of the circumstances people live in was essential to comprehend why some of these injuries occurred – for example, much of public transport is unsafe and unreliable, therefore many people rely on sitting on the back of trucks, or walking along the motorways, to get to work. This results in both the volume and severity of injured patients, both passengers and pedestrians, greatly increasing. It was my first time seeing the majority of severe traumatic injuries and many medical emergencies in both prehospital and ED settings, despite having had placements with the UK ambulance service and local EDs in the past. The sheer volume of cases – both medical and trauma – as shocking as the one I mentioned previously was undeniable, and yet is also arguably the main reason many medical students come to South Africa for electives. The idea of visiting South Africa had always been an interesting one; both originally as a tourist, and later as a medical student, after hearing countless stories about the experiences others had whilst working there. I was curious to learn more about the inspiring, innovative ways its clinicians manage the unique healthcare challenges it faces, yet, as someone relatively early on in their medical career, whilst I’d considered that these experiences may take an emotional toll, I’d certainly underestimated exactly to what extent. At first I was hesitant to mention that what I was seeing was pretty overwhelming, and that I was often leaving the hospital feeling upset and restless. Why should I be feeling like this, I thought, when these clinicians are experiencing it every day? When I actually WANT to spend my career in Emergency Medicine? When this is undoubtedly the opportunity of a lifetime? Then I took a step back and actually thought about what I was experiencing – the volume of patients and their presenting complaints, combined with the limited resources in the hospital, would frequently equate to a major incident declaration in the UK. That, and what I was seeing *was* genuinely very upsetting. That, and the fact that it’s totally fine and normal to feel gutted about a case, and the important thing is how you deal with it. I have since learnt that this is an extremely common thought process for students witnessing traumatic cases for the first time – wondering if they’re overreacting, if they’re cut out for medicine at all because they’re upset, and even if there’s something wrong with the clinicians they observe because perhaps their reactions appear to be more measured. I found myself being terrified of morphing into a cold, heartless doctor – one totally hardened to and unfazed by other people’s trauma. And whilst I’m sure that’s the sad case for some, I now know that for the majority it isn’t. So how do the clinicians who deal with this every day cope? How are they surviving? Are they superhuman? Well, they take breaks together, without fail, even if it feels like the entire hospital is collapsing. They leave together. They go straight from the hospital, still in scrubs, to watch the new Jurassic Park film and eat junk food. They climb Table Mountain ahead of a weekend of night shifts. Other stuff helped me enormously: I texted home a lot, swore, laughed, cried, drank loads of tea, joked, and joined the team for films and junk food and delirious post-call breakfasts. I watched pretty much all of the World Cup and told everyone in South Africa that it was coming home. I eventually chatted to the clinicians around me who knew how to cope with it significantly better than I did and learnt that – shock horror – they would feel awful about some cases too. The subject of traumatic incidents is covered lightly in medical school, but how do you actually prepare your medical students for something like that? Is that even possible? How do you support your juniors whilst they wade through these thought processes? Above all, for me, the importance of debriefing really became evident over the course of the placement – be that a hot debrief, or an informal discussion/moan over a pint a few hours or days later. It is something I was lucky to experience in Cape Town and am extremely glad to have now back at home, where clinician wellbeing is being increasingly prioritised: (http://www.stemlynsblog.org/the-ed-spa-wellness-and-support-in-virchester-st-emlyns/). I also learnt a lot about empathy – specifically the importance of trying to maintain it when you’re exhausted and hungry and fed up. How is it possible to keep up a good rapport with the seventh patient that night, fitting the same demographic, with the same injuries? For example, a 22-year-old combative male with a stabbed chest following a fight, halfway through the Saturday night shift in Mitchells Plain, or a 22-year-old combative male with a head injury after tripping up on their way home from a nightclub, halfway through the Saturday night shift in Virchester? How do you ensure that the first gets the same amount of empathy as the second? Or seventh? Is that even possible? How do you avoid the feeling of moral injury when reflecting on a case, and remembering you were in a rush so decided not to give local anaesthetic to the seventh patient needing an intercostal chest drain? Is the solution to accept that sometimes that happens, or insist that the local needs administering? I’m still very much in the second camp, though I suspect the reality lies somewhere in the middle. My two months in Cape Town were undoubtedly the most challenging of medical school so far, but they were also career-affirming, and I’m already planning my F3/4/5/6/7 year(s) there for after I qualify. Importantly, I’ve returned with a greater ability to cope with difficult situations and a greater understanding of how others do so. As Chris Wearmouth so eloquently described, “the learning was more vertical than curved” (http://www.stemlynsblog.org/time-in-rural-south-africa-as-a-uk-trainee-st-emlyns/), but I was supported and encouraged to ask questions and get stuck in at all times. There was a camaraderie amongst the doctors working there that is difficult to put into words – they were able to maintain good working relationships and develop strong friendships despite the difficult nature of what they were being challenged with every day; for me, the elective would’ve been far harder had I not felt like I was part of their team, and had their support and encouragement. I hope I’m able to give the same to colleagues in the future. ** Note: The BadEM website is a brilliant way to learn more about emergency medicine in Africa, or you can catch Kat Evans live at SMACC in Sydney (http://www.stemlynsblog.org/smacc-sydney-hope-to-see-you-there-st-emlyns/).